Since we are in a holiday mood here on my blog (where is the Christmas music??) I figured I would post another holiday themed card (and there is much more where that came from!). I love your stitching and gift box! You are so clever and talented — I would feel so privileged to win it! One of the things I do each year is to put a new ornament on the Christmas tree for each of my grandchildren with their picture in it. I have 5 grandchildren and have been doing it for 5 years now and have quite a collection of pictures of them growing up. Val contact me with your address so I can mail you the ornament!! Congratulations!! Now for the card. 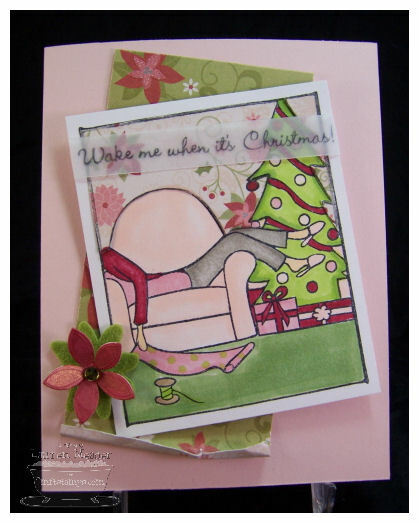 This set is by MFT and is called Merry Christmas. It is going LIVE tonight! My Favorite Things (www.mftstamps.com) is having a New Release Cocktail Party on Wednesday, Sept. 3 from 9-11 p.m. Eastern time. This month there are SIX new sets being released, plus one from a new line at MFT: BC Dzyns. *The Girl Who Wants It All special for the The September Collection, which is one of each set being released, except for the BC Dzyns set, is $58.95. I found some really pretty double sided paper for this card by Imaginesce. Did a little paper piecing to tie in my color scheme. I love how this turned out. Sweet blush, rose red, and various tones of green. The strip of patterned paper in the back is suppose to be like a unrolled piece of wrapping paper. I used my bridal confetti flowers to color a poinsettia 😀 A felt flower by American Crafts makes up my leaf. This is usually ME! EXHAUSTED from all the pre-holiday bustle. Especially since I try to make most of our gifts. Its a good exhaustion, don’t get me wrong. I do the day after Thanksgiving holiday dash to the stores at 5 am and shop till the after noon. Then the WORST part-wrapping! BLECH! I dislike that part-a lot. I try and make Jay do it all since he is a wrapping PRO, and I did all the shopping. Every year we say we will not over do it, and some how, some way, we do. We have to make sure each kid has the SAME exact # of gifts. They sit an count them! I cannot believe it. Then I remember being a kid, and doing the same. Isn’t that funny? They don’t care what is inside, as long as its even. We have them take turns opening, or do the 1-2-3 OPEN. Its so funny. My brother and I would get up at like 4 am on Christmas morning, and freak out with excitement, till 6 am, if we made it that long, then we would then wake up our parents. Part of why I always wanted more than ONE child was remembering I had someone to share that with. I didn’t think it would be fun to sit there alone. I had some of the best Christmas memories as a child. Robbie (my brother) ALWAYS got stuck waking them up. I didn’t want to get into trouble so I would always find a way to bribe him into it. Then we would have to wait for my mom to get her coffee. UGH! It was a killer watching the entire pot brew! Now that is ME! I need my coffee before anything else. I will miss these days for sure. This is the best time of year when you have little ones. Well thanks for letting me reflect. I could just go on and on about the many things I take in during the holidays. I love that time of year. Well I hope to see you tonight!! I am so happy it’s Tuesday, but FEELS like a Monday! I feel like I have a head start on the week!! Thank you so very much for the super sweet compliments!! Don’t miss you chance to win the ornament! HERE! Winner picked Wednesday! AND don’t miss my Bloomin Basket Tutorial HERE! It could save YOU $40! 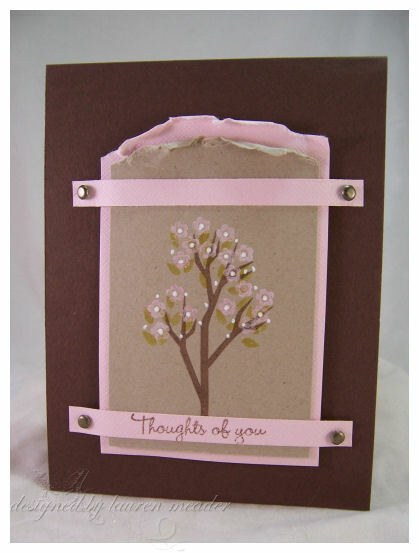 Now I will share 3 totally different styles of cards from upcoming releases by My Favorite Things! I was suppose to post this yesterday :C But my Internet was not working. Since I didn’t pre-post I am here today squeezing it in. This Hey Chica is a new line illustrated by Chesney Young! You may remember that I made everyone go check out cards done by drawing from this woman, on my dear friend Holly’s blog! Well, Chesney is Holly’s daughter! She is so super talented. I am just thrilled that Kim from MFT scooped her up, and got her super hot girls put into stamps so we can all enjoy her drawings. Holly you must be so proud!! Now with collaboration from Kim’s daughter Brianna, they together created a hot new line called BC Dzyns!! I am really excited by this. I love it. I think this Chic is super hot, so I decided their brand logo would be a cute tattoo. I know there are a million ways she can be colored, but I just wanted the POP of her red lips. I then colored my flowers on my B&W patterned paper (by Imaginesce) red as well. Very modern Marilyn Monroe-ish. I like the layout of this too. I need to make more card with this chic soon. OK so we are moving into fall and I want to be in Spring! This year tress are hot. There are so many cool varieties of images, I just love it. This set has images that allow you to build your tree for every season. This was my take on it. I like the clean and simple design of this. 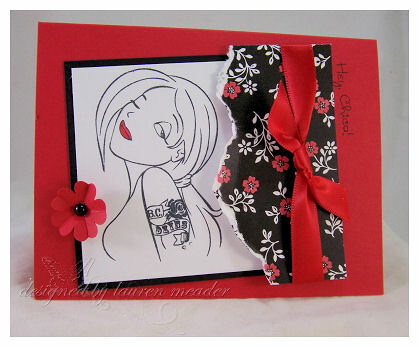 2-step images are the BEST for making a quick and simple, yet thoughtful card. 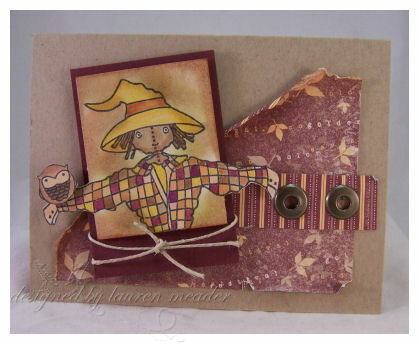 For those of you who LOVE fall………… now we have a Happy Fall card. I didn’t realize I had been tearing so much cardstock lately! I thought “tearing” was so out! Well not to me, anymore. I realize I have been doing this on many recent creations (more to come). This one is more distressed, less “clean”. Again, I love that layout. 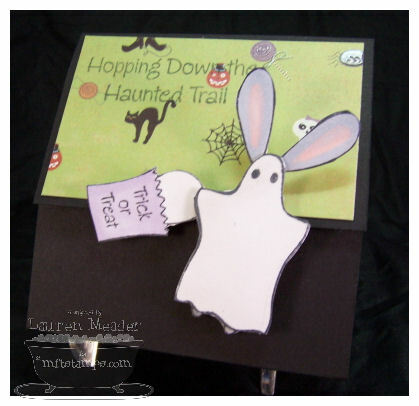 This paper is an oldie but goodie from Stampin Up! Perfect fall paper. I love the little owl perched on his arm. SO CUTE! My Favorite Things (www.mftstamps.com) is having a New Release Cocktail Party on Wednesday, Sept. 3 from 9-11 p.m. Eastern time. This month there are SIX new sets being released, plus one from a new line at MFT: BCDzyns. OK I am off and running. I have some really great things to share this week, so I hope you check back in. I also have a great excersice tip that may help you get motivated to get moving 😀 More on that later.